There's one message British trade minister Liam Fox wants everyone to know: the UK must "deliver on the (Brexit) referendum." "Over the last week or so, I’ve detected a growing willingness of my colleagues on both sides of the House, amongst those who’ve voted leave and remain, to come to an agreement," Liam Fox told Euronews at the World Economic Forum in Davos on Wednesday. He went on to say that there's a "growing understanding" that it was in everyone's interests to find common ground. "For the Labour MPs, they had a party commitment to try to vote for general elections in a confidence vote, and vote against the government’s deal. They’ve done both of those. A lot of my colleagues have also had a hardline over the Irish backstop, they’ve done that. Fine, let’s look to see where we can compromise," Fox said. "The Irish government doesn’t want to have a hard border with the UK, we don’t want to have a hard border with the Irish government," he added. "The problem is, that the mechanism in the withdrawal agreement could’ve caught the UK in a customs union potentially, indefinitely." If there's no movement on the Irish backstop, Fox said there are two things that could be done: change the law or get to a deal. "If we were to change the law and extend Article 50, that would almost certainly mean that Britain would need to fight the European elections under the law. I can’t see the European Parliament being too thrilled to have 70 British MEPs stuck there who didn’t want to be there. "I can’t imagine British taxpayers would be willing to happily pay the cost of that campaign," Fox said. The European elections are to be held on May 23-26. On possibly of extending Article 50, Fox said the best thing to do was "reach an agreement, get the withdrawal agreement through, and begin our future trading relationship with Europe as quickly as possible." Fox added that extending Article 50 was a delaying tactic that would extend "uncertainty." He also stressed that "parliamentarians need to realise they promised the British people they’ll leave the EU and now they need to find a way to do so, expeditiously." 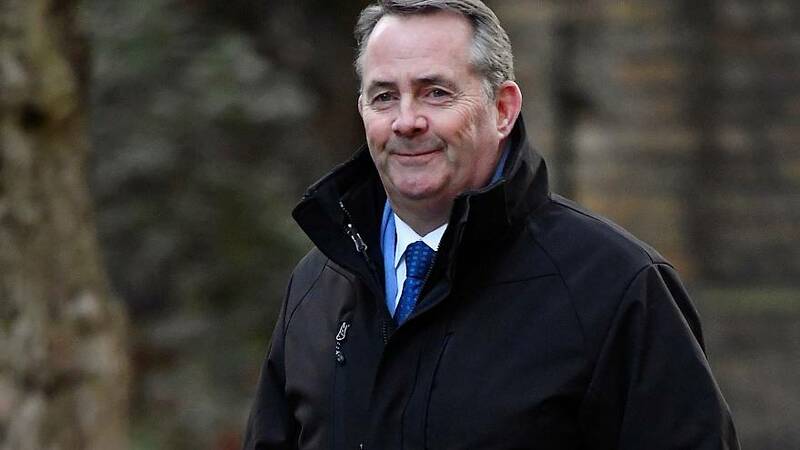 As for his message to Brussels, Fox said that everyone should stand back and realise that Britain has made a decision to leave but added that the UK wanted to be an active partner in economic cooperation with the EU.